Last weekend we ate high off the hog! Papa soaked some navy and black beans on Saturday and the next day he cooked them up as homemade baked beans. I may post the recipe some day, but we have a little more tweaking to do (they were a tad too salty). Sunday dinner wasn’t just beans though – we also had beef tenderloin steaks and homemade rolls. Except … my rolls weren’t as much as a success as I’d hoped. 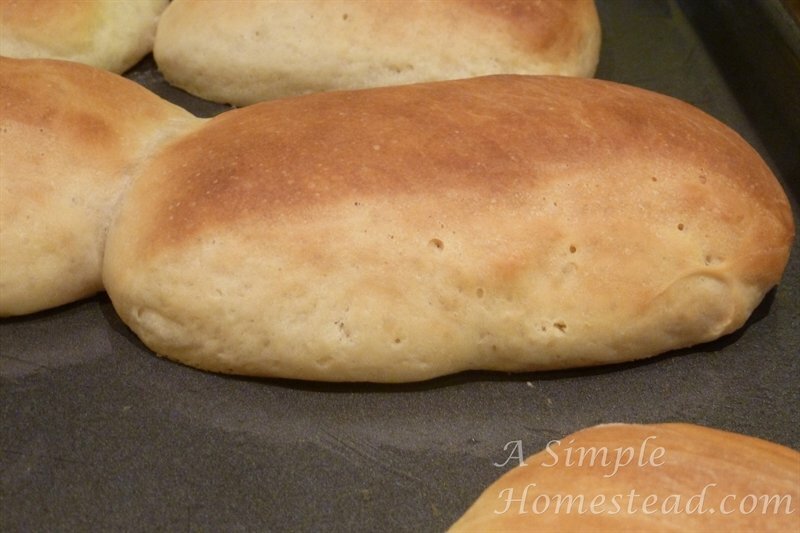 I found a couple of recipes for the famous Loft House rolls. While I’ve never had the original, the people in this household are bread-eating machines – especially if it’s good bread. So as delicious as the pictures looked, they were worth a try. I found a couple of slightly different recipes and ended up combining them to what I thought made sense. One recipe said to add the dry milk to the water whereas the other one had a few typos and it wasn’t clear what to add. So, I added the yeast to the warm water and waited for it to foam. I then added the dry milk, sugar, salt, butter and egg. Given the fact that you mix the wet ingredients with a bit of flour for two whole minutes before adding more flour, it seemed to incorporate the dry milk just fine and get the lumps out. After you mix just enough flour in so the dough isn’t super-sticky, you place it in a greased mixing bowl to rise. 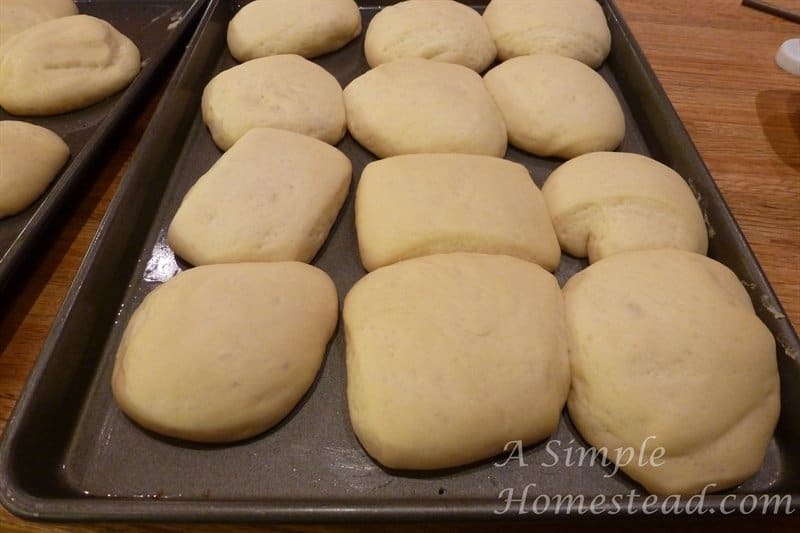 Here’s your Tip of the Day for letting bread dough rise: If your husband is currently using the oven for baking beans so the option of using the closed oven with the light on to raise your rolls is out of the question, and the house is cold because you’re cheap and don’t want to spend a fortune on heating costs, take an electric heating pad or even one of those microwaveable corn / bean / rice bags you created out of an old towel and place it under the bowl. Heated, of course. 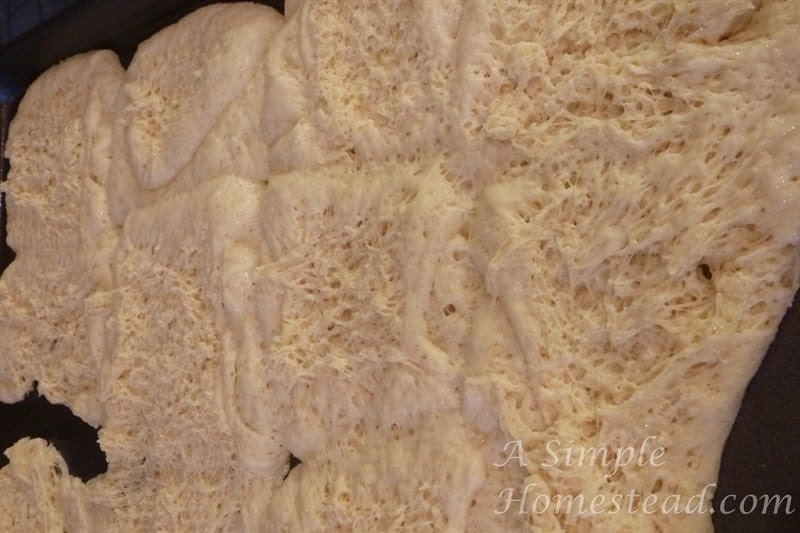 In an hour, come back to find your dough is ready to bust through the top! You can use them for powdered sugar too, but ours is now dedicated to flour. It’s used weekly what with all the bread-making, roll-making, pizza-making that goes on in our house! 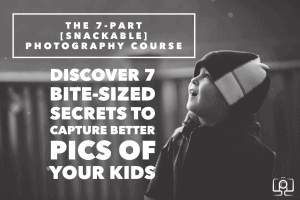 The directions say to roll out the dough into approximately a 12″ x 8″ rectangle. All the other bread / roll recipes I’ve made usually say to knead the dough again before rolling so the yeast gets evenly distributed again. Don’t do this. I did it with the first half of the dough but it made it really tough to roll out without letting the dough rest so it could relax again. The second half I just rolled out and it was much easier. You want to cut the rectangle in half down the long way and then into six sections the short way like the picture below. This division will give you 12 somewhat even pieces of dough (This was the first half of the dough – I didn’t get my rectangle quite as even). The pieces then get rolled up starting at the short ends so you end up with rolls with the classic Lion House look. And you will weep because your wonderfully raised rolls now look like a big mess. 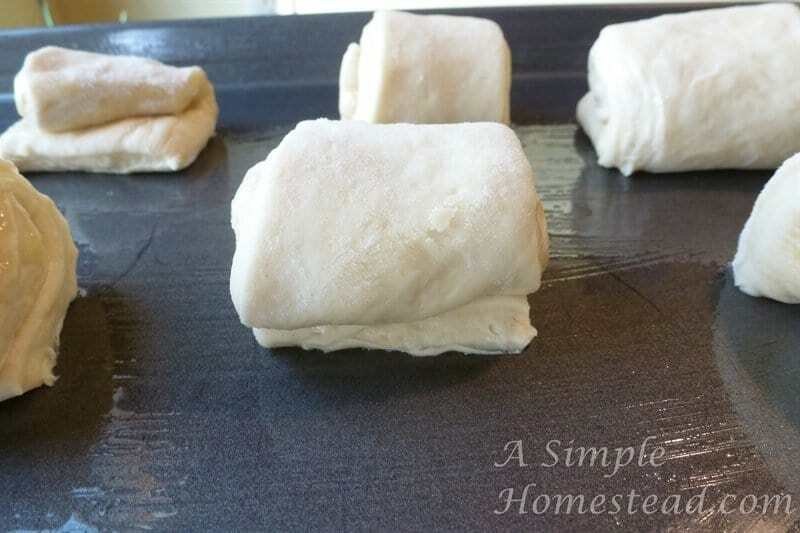 Your husband will join you in the kitchen to question why you did that – and then kick into practical, problem-solving man mode to help work the dough again into respectable-looking rolls. After the third partial rise, dinner will be almost ready so they need to be baked immediately. As you can see, they didn’t turn out too bad, but they are flatter than I wanted. Because we weren’t quite as careful the second time around getting 24 rolls (ok, SOMEONE wasn’t as careful … I won’t name names), we had some rolls that more closely resembled hoagie buns. 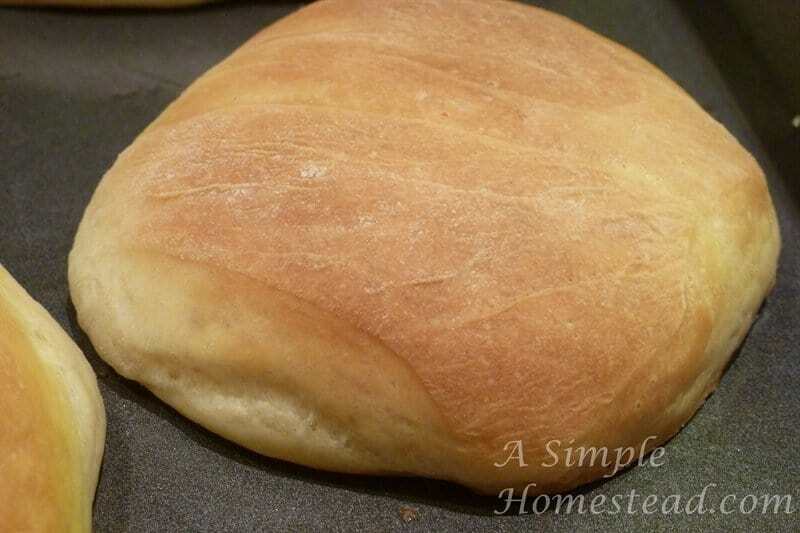 They worked fine for dinner rolls and we’re using them again today to make sandwiches (even better!). Overall, I’d say these are a great roll recipe and I will definitely make them again … next time with my lessons learned and remembered. 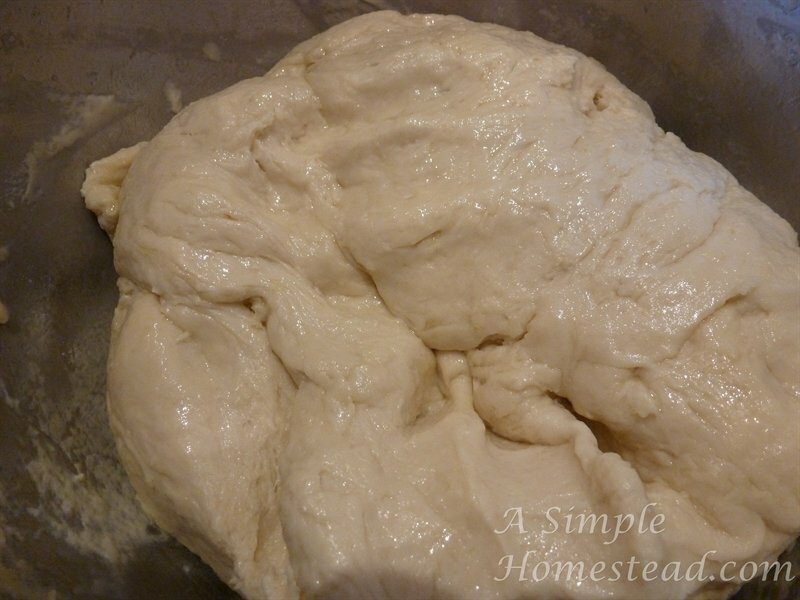 In the large bowl of an electric mixer, combine the water and the yeast and let sit for 5 minutes until the yeast is bubbly. 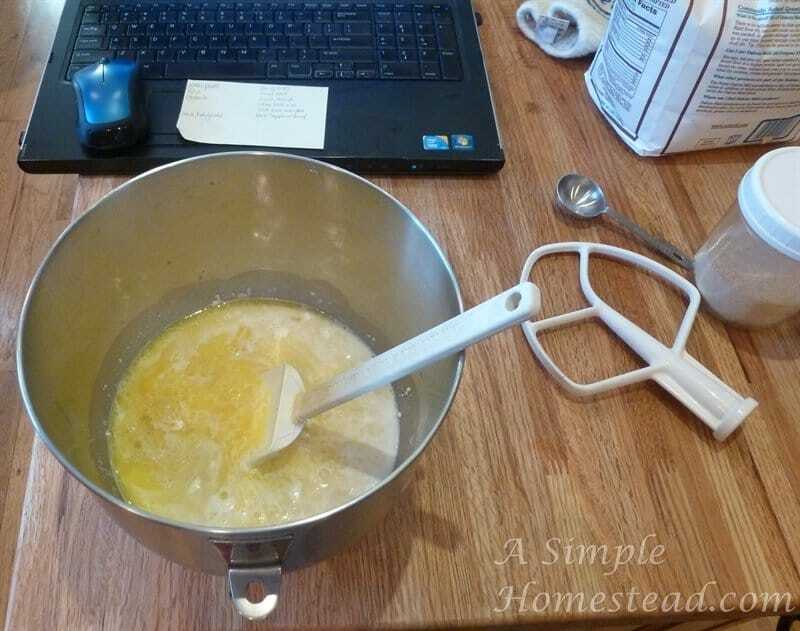 Add the dry milk to this mixture then the sugar, salt, butter, egg and 2 cups of the flour. Mix on low speed of mixer until ingredients are wet, then turn to medium speed and mix for 2 minutes. Stop the mixer and add 2 more cups of flour then mix on low speed until the ingredients are wet, then turn mixer on medium speed and mix for 2 minutes. 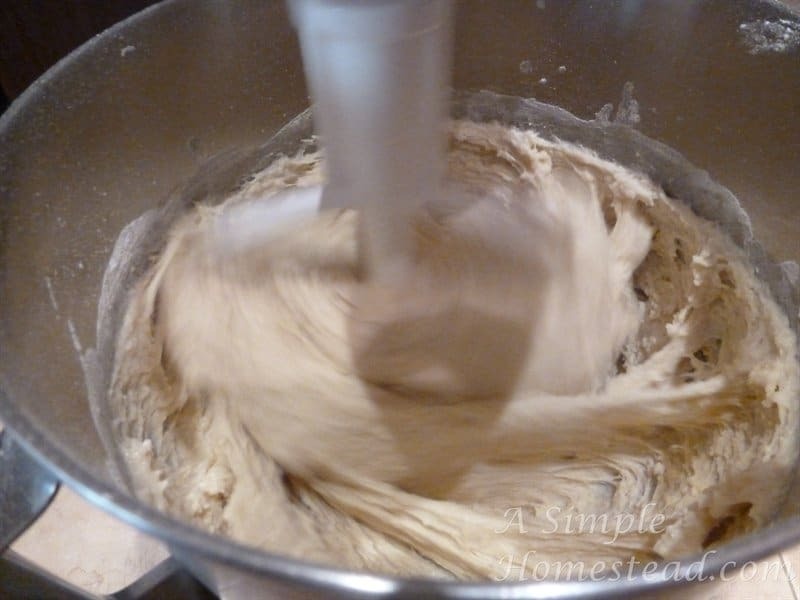 The dough will be getting stiff and you may need to remove the bowl from the mixer and mix in the remaining flour by hand. Add approximately 1/2 cup of flour and mix again. (This can be done by hand or mixer). The dough should be soft, not overly sticky, and not stiff. 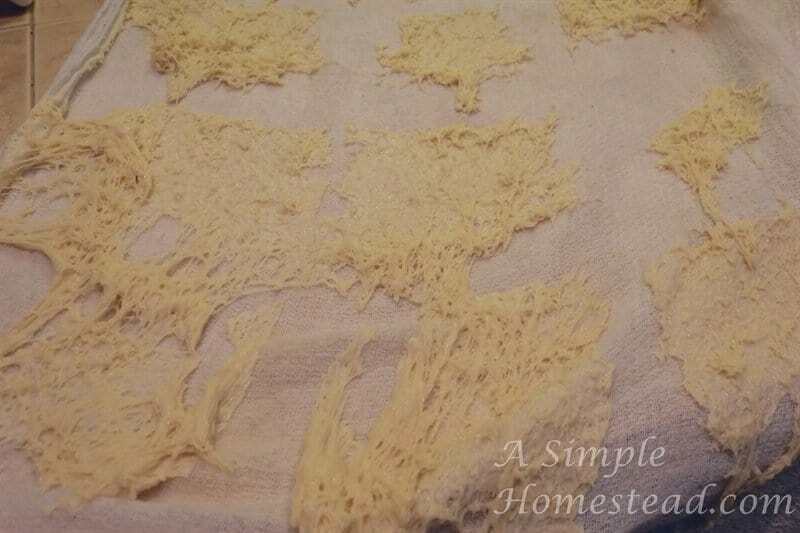 (It is not necessary to use the entire amount of flour). Scrape the dough off the sides of the bowl and pour approximately on tablespoon of vegetable oil all around the sides of the bowl. Turn the dough over in the bowl so it is covered with the oil. 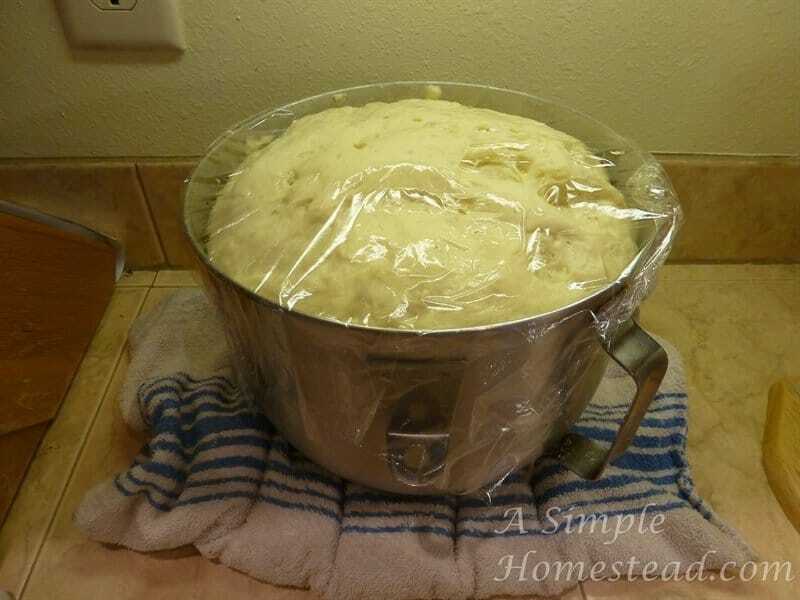 (This helps prevent the dough from drying out.) 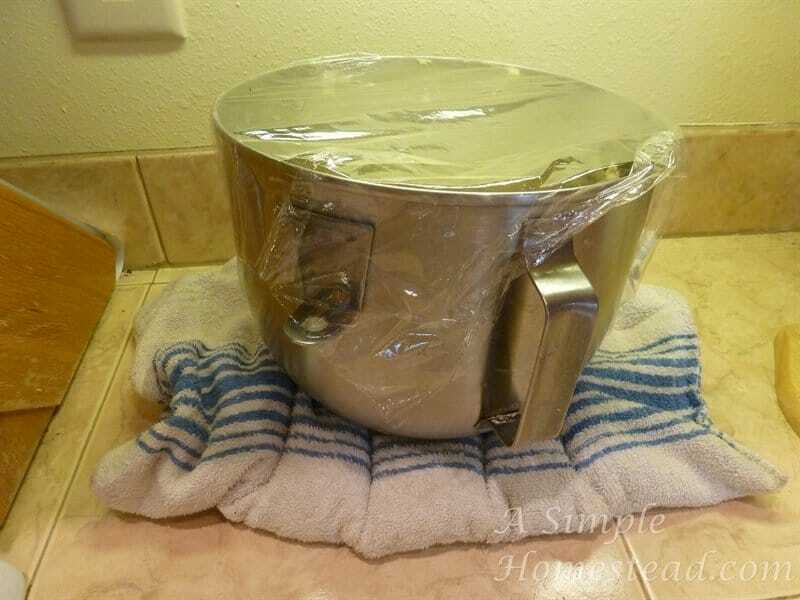 Cover with plastic and allow to rise in a warm place until double in size. 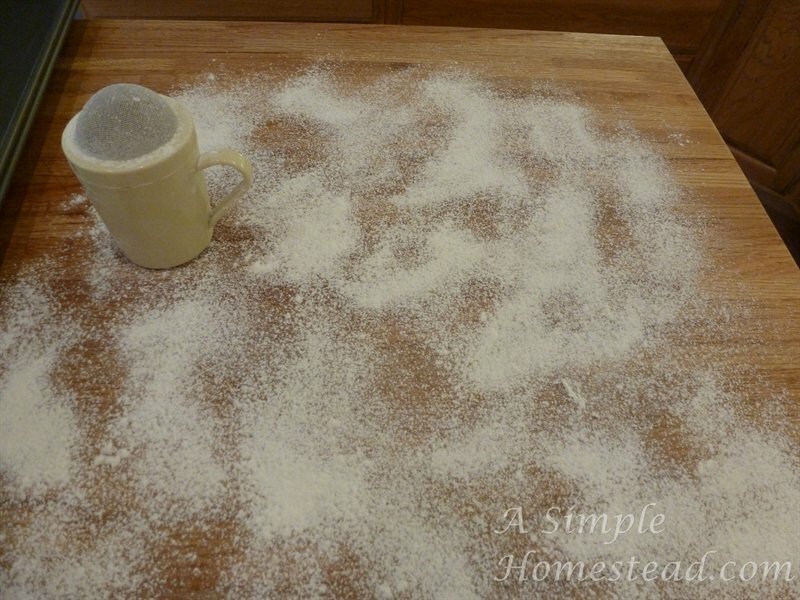 Sprinkle a cutting board or counter with flour and put the dough on the flour. 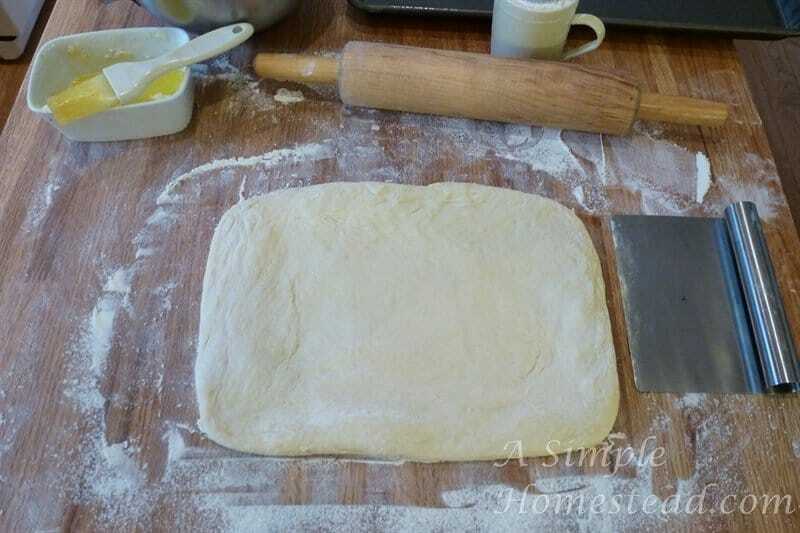 You want to put enough flour on the dough so that it is workable and not sticky. Roll into a rectangle about 1/4 inch thick and approximately 12" x 8" wide. Brush with melted butter. Cut the rectangle in half - the long direction. Then cut shorter lengths on the other side into 6ths so you get 12 rectangles. 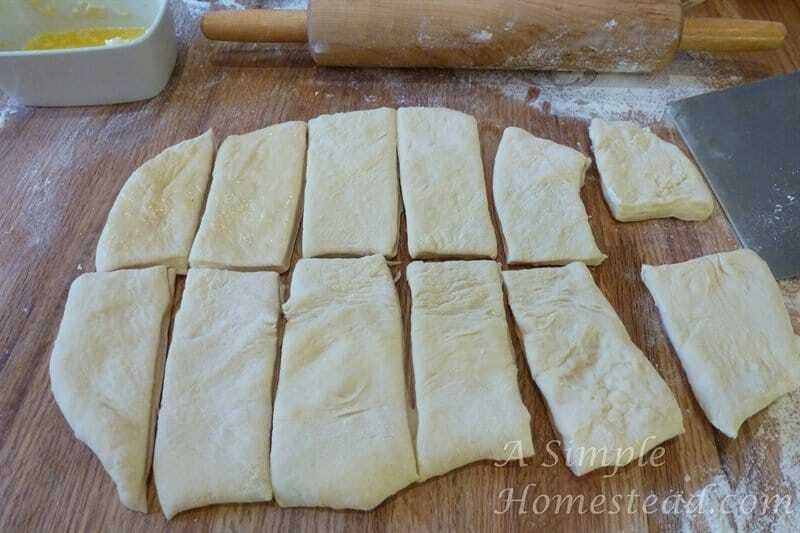 Roll up the rectangles and place them on a greased baking pan. Let rise in a warm place until the rolls are double in size (approx. 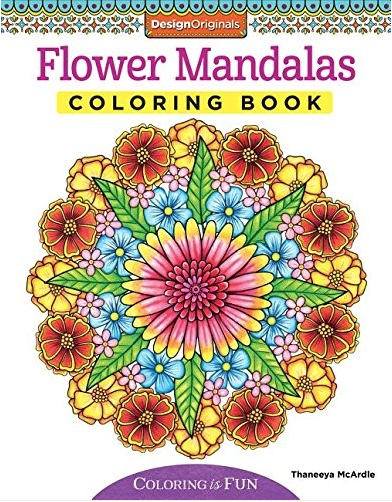 1 to 1 1/2 hours). Bake in a 375-degree oven for 15-20 minutes or until they are browned. Brush with melted butter while hot.